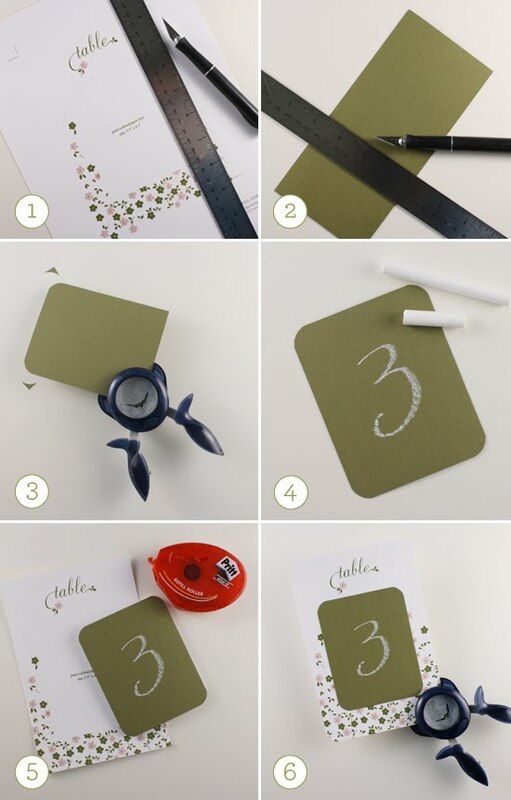 Flights of Fancy, the inspirational blog of bestywhite stationery boutique, is full of great DIY ideas and this one is fabulously simple via a downloadable template! 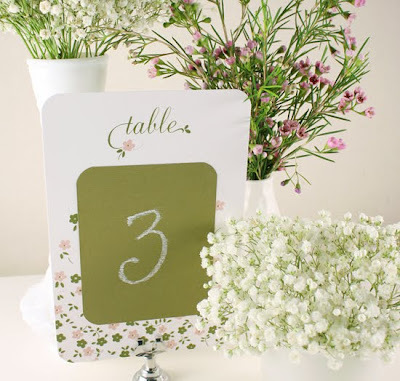 In just 6 simple steps, you can create your own "chalkboard" table numbers. Go download the template here! The faux chalkboard is really just a dark colored piece of paper + the vintage touch of white chalk = cleverly simple. go to the FoF website for full directions! Neat. I'll have to use this some time to create little signs for kids to hold up. very nice post! you have a very nice blog! !